Nelson Ireson February 5, 2015 Comment Now! If you’ve always wanted your very own insaneballs six-wheel-drive AMG-powered pickup, now’s your chance. 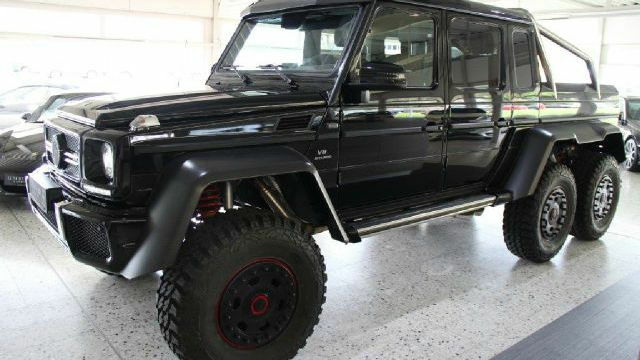 One of the vanishingly rare Mercedes-Benz G63 AMG 6x6s is for sale in Florida for just under a cool million. That’s right—$975,000. If that seems like a steep premium over the roughly $515,000 sticker price, you’d be right. But with a vehicle this extreme and rare, perhaps it’s a justified premium. 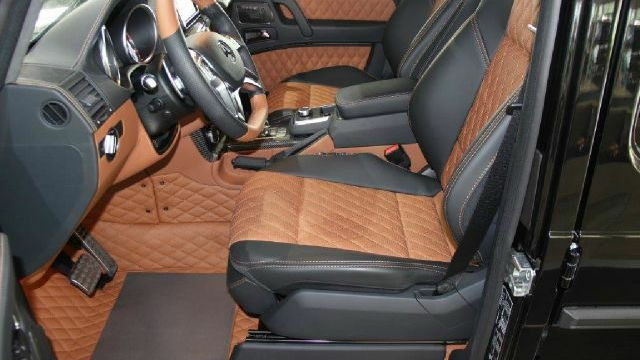 Offered for sale at Tampa, Florida’s Mirabella Motors, this 6x6 is a blacked-out beast with some subtle red trim, a quilted tan-and-black leather interior, and just 50 miles on the odometer. 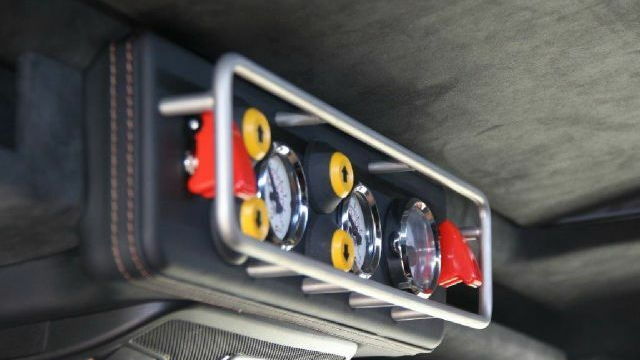 Of course, it also packs the 5.5-liter twin-turbo V-8 rated at 544 horsepower and 560 pound-feet of torque, the portal hubs, the Ohlins suspension, and all the other goodies of a true AMG 6x6. It’s certainly not the deal of the century, but it may be a unique opportunity for the buyer who loves fun more than money.